Our Newest High Value Data Partner, Tarin Resources Services | First Base Solutions Inc.
First Base Solutions is pleased to announce we have recently entered a partnership with Tarin Resources Services of Alberta. 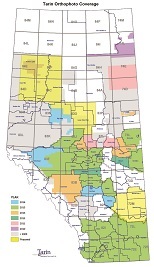 In the coming months, First Base customers will see Tarin’s aerial imagery covering Alberta added to our MapWarehouse store and MapCast WMS alongside our own Ontario data sets. About Tarin Resources Services Ltd.